Pier 27 has launched their Tower on the Lake and with some of the best views in the city, we believe that this is an exciting investment. 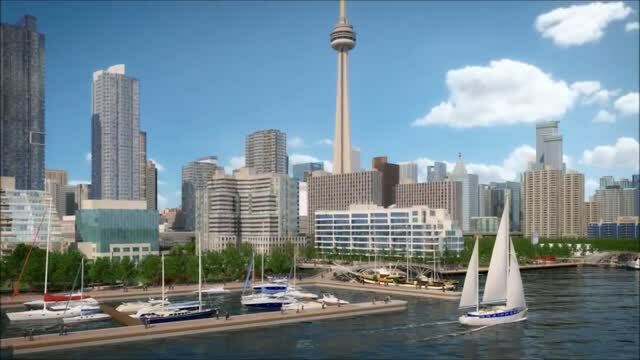 Toronto’s waterfront offers some of the finest lifestyle amenities anywhere in the city. You can spend your day rollerblading or bicycling down the waterfront trail, then stop off to enjoy one of the countless outdoor shows and events at Harbourfront Centre. Arts buffs will enjoy the many thought provoking exhibits at The Power Plant Contemporary Art Gallery, and you can indulge your inner sun worshiper on the sandy shores of Sugar Beach. Plus, Centre Island and the beaches of the Toronto Islands are just a ferry ride away. - Premier location at Toronto's Waterfront Queen's Quay East & Yonge. - 100 Transit Score - just minutes to all of Toronto's main attractions, including St. Lawrence Market, Rogers Centre, ACC, and the Sony Centre for the Performing Arts. - Unobstructed views of Lake Ontario. Cityzen Development Group is a recognized builder of luxury residences in the Greater Toronto Area. Cityzen and its sister company Dominus are a multifaceted Real Estate Developer and Builder respectively, currently operating in the Southern Ontario market. Cityzen and Dominus are recognized as an outstanding developer and builder, dedicated to producing the highest quality products and services, while remaining mindful of the need for being sensitive to community and environmental concerns. Cityzen Development Group specializes in elegant urban lifestyle communities - luxurious quality homes that reflect the character and history of their distinct locations. Location, natural splendour and brilliant layout and design come together to provide Cityzen homeowners with the ultimate urban residences. The Cityzen difference is apparent in every community the company develops. Whether the Hemingway in Don Mills, London in downtown Toronto or Absolute in Mississauga, a Cityzen community is distinguished by originality, innovation and seamless integration and enhancement of the existing urban fabric.